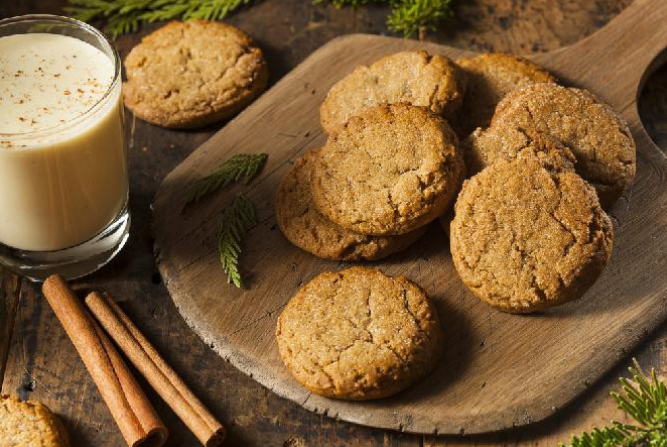 A moist and soft low carb lemon gingersnaps are the perfect cookies for the holidays. With just 1g of fat and 6g of carbs, you can indulge to this sweet treat without guilt! Line a 7-1/2x3-1/2x2-inch loaf pan with plastic wrap; set aside. Place gelatin in a small bowl; add boiling water and stir to dissolve. Stir in cold water. In a medium bowl, beat cream cheese with an electric mixer on medium speed until fluffy; gradually beat in gelatin mixture on low speed until combined. Fold in whipped dessert topping. Pour into prepared pan. Cover and chill for 4 to 24 hours or until set. Using the plastic wrap, lift mousse out of pan. Cut in half lengthwise; then slice crosswise into 1/4-inch-thick slices. If desired, cut into shapes with small cookie cutters or hors d'oeuvres cutters. Place one slice of the mousse on top of each gingersnap. Top with kumquat slices and/ or orange peel strips. Assemble only as many as you need at one time; cover and store remaining mousse in the refrigerator for up to 1 week. Makes 30 servings.